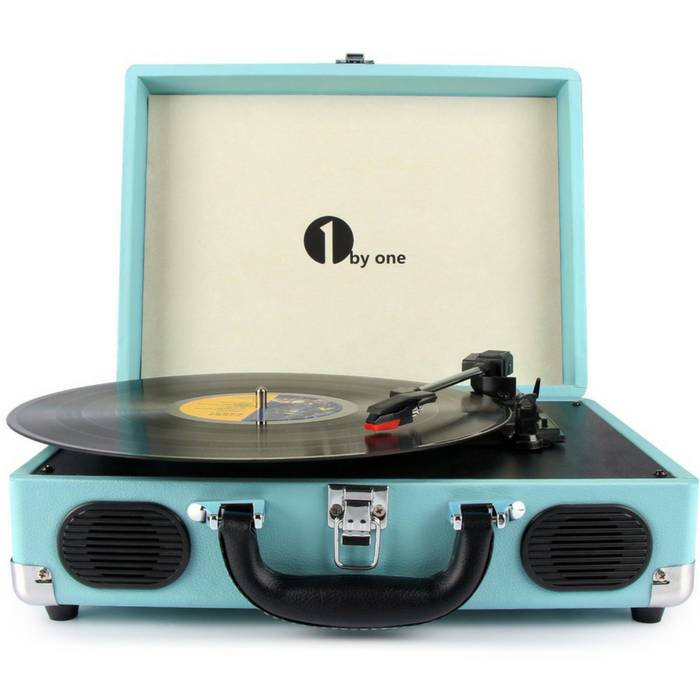 Portable Stereo Turntable Just $39.68! Down From $63! PLUS FREE Shipping! You are here: Home / Great Deals / Amazon Deals / Portable Stereo Turntable Just $39.68! Down From $63! PLUS FREE Shipping! Score this Portable Stereo Turntable at Amazon for just $39.68 down from $62.99 when you use promo code WVLRPU7L at checkout PLUS FREE shipping! 1byone Belt-Drive Briefcase Turntable is the perfect combination of trendy and retro. It includes 3 speeds, soft damping control, integrated speakers, RCA/AUX-In, durable PU leather case and an integrated carrying handle. The Briefcase Turntable is portable and ready for wherever life takes you.